1. 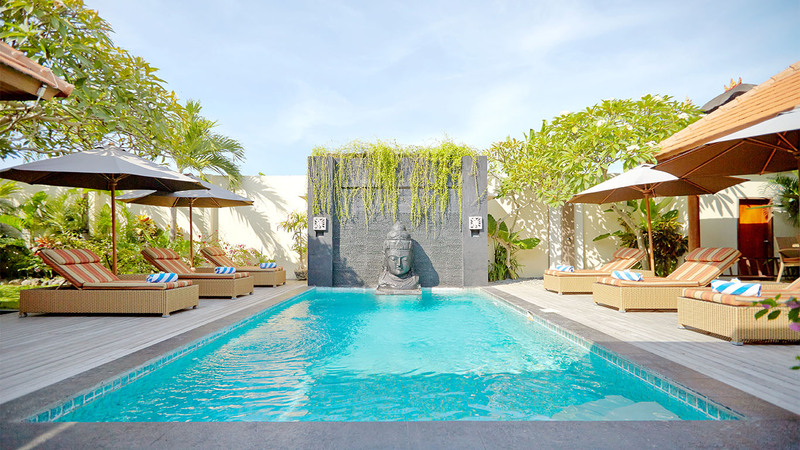 CHECK-IN TIME IS AFTER 2 P.M NOON AND CHECK-OUT IS 11 A.M. LOCAL BALI TIME. 4. We will not rent to students or singles under 25 years of age unless accompanied by an adult guardian or parent. 5. DAMAGE/RESERVATION DEPOSIT: A damage/reservation deposit of US$200 is required. This must be received within seven (7) days of booking the reservation. The deposit automatically converts to a security/damage deposit upon arrival. The deposit is NOT applied toward rent; however, it is fully refundable within (14) days of departure, provided the following provisions are met. f. No linens or bath/beach towels are lost or damaged. h. The renter is not evicted by the owner (or representative of the owner), the local law enforcement, the security company employed by Villa Seriska. 7. CANCELLATIONS : A sixty (60) day notice is required for cancellation. Cancellations that are made more than sixty (60) days prior to the arrival date will incur no penalty. Cancellations or changes that result in a shortened stay that are made within 60 days of the arrival date, forfeit the full advance payment and damage/reservation deposit. Cancellation or early departure does not warrant any refund of rent or deposit. 9. MAXIMUM OCCUPANCY: The maximum number of villa guests is limited to eight (8) persons. 10. INCLUSIVE FEES : Rates include Airport pick-up/drop-off; welcome drink/fruit basket; daily breakfast; daily; mineral drinking water; 24hr wifi internet service; linens/bath towels and all local and government taxes. Note: Range of other services like laundry/dry cleaning; lunch/dinner; tours; transport; etc are available at a modest fee. Storm/Hurricane Warning” area of residence of a vacationing guest. scheduled to arrive during the “Hurricane Warning” period. 16: POWER BLACK-OUTS: In case of any power black-outs, a power generator is provided in the living/dining area. No rental refunds will be given for power black-outs. 17. This agreement is governed by Indonesian laws and, in particular, the local laws of Bali, Indonesia.